Chopal/Deha: Despite regular promises for development of better road infrastructure in upper hill region like Rohru and Chopal constituency, Himachal Pradesh Government has so far failed to live up to what it claimed in statements. The 100 km-long Sainj – Deha- Chopal-Nerwa-Fedach road was declared as State Highway. The announcement cheered residents, especially apple growers as the road is their life-line. Transportation of apple crop depends completely on the condition of this road. That said, nothing has changed at the ground level. The road is in tatters, filled with potholes and long patches of road washed off during monsoon. Most horrible stretch of road is visible on Ghodna- Deha – Chambi – Khidki road in Ghodna Panchayat. Lack of maintenance is the main problem, say the locals agriculturists. Locals suggest that the road hasn’t been attended for past 15 years. 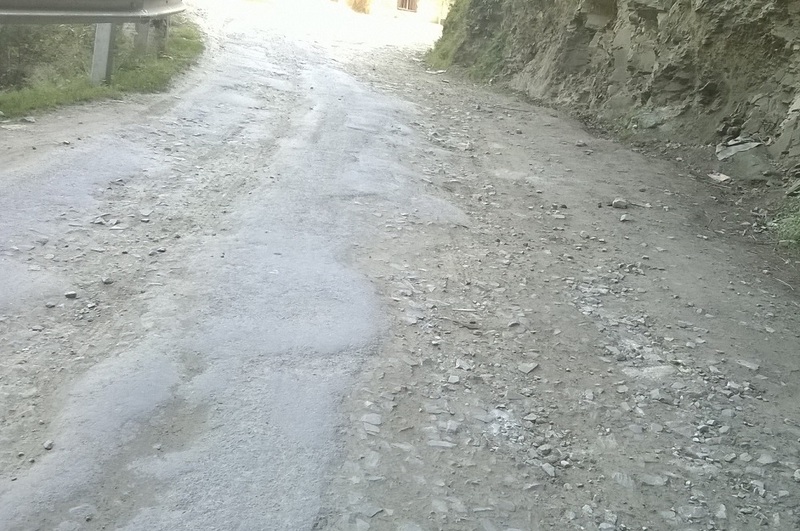 Surprisingly, the MLA from Chopal is a resident of Ghodna panchayat, but despite that the road is facing neglect. 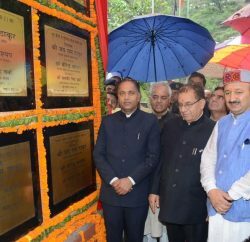 The CM had warned the Public Works Department (PWD) engineers of harsh action, even demotion if the roads in Shimla zone were not repaired before monsoon. Scolding the HPPWD, the CM had pointed out widespread corruption in the department and its growing nexus with private contractors. Despite that, the PWD doesn’t seem to have moved a muscle till date. PWD cry of fund crunch in every division due to which the department isn’t able to repair, tar, and maintain thousands of kilometers of roads in upper hills. The only positive development was visible right before the CM’s tour (by road) to Chopal constituency in June this year. PWD had swung into action to fill potholes and pits on the Sainj-Deha-Okhta stretch of the Sainj-Chopal Nerwa state highway. 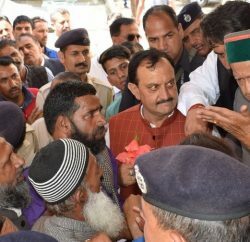 During the same tour, the CM was heard saying that 1,933 out of 2,354 sanctioned road works had been completed under Pradhan Mantri Gram Sadak Yojna during last three years. He also stated that 3318 habitations out of 3689 were connected through road network. However, he didn’t seem to have pondered over the regular upkeep of roads. What BJP has to say about the political hotbed? 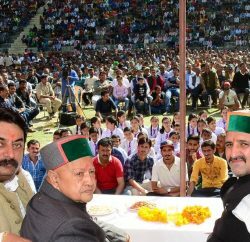 Recently, Shashi Dutt Sharma, a BJP leader from Chopal, alleged that the MLA failed to deliver what he had promised before elections. He said, “Most of the road network was repaired and maintained during the BJP government, and not during the regime of current congress-led government. Roads in the constituency are in dismal position, and dust and potholes greet commuters.” “Every year apple producers face financial losses due to poor road conditions,” he further added. BJP also alleges that the Congress government is delaying implementation of road projects declared by the Union Minister of Road, Transport and Highways and Shipping. The funds have been released from centre but the state government has failed to submit DPR so far. In past couple of years, the traffic volume on the Sainj-Chaupal-Nerwa road has witnessed rapid increase, but the road is still narrow, thus, accident-prone. 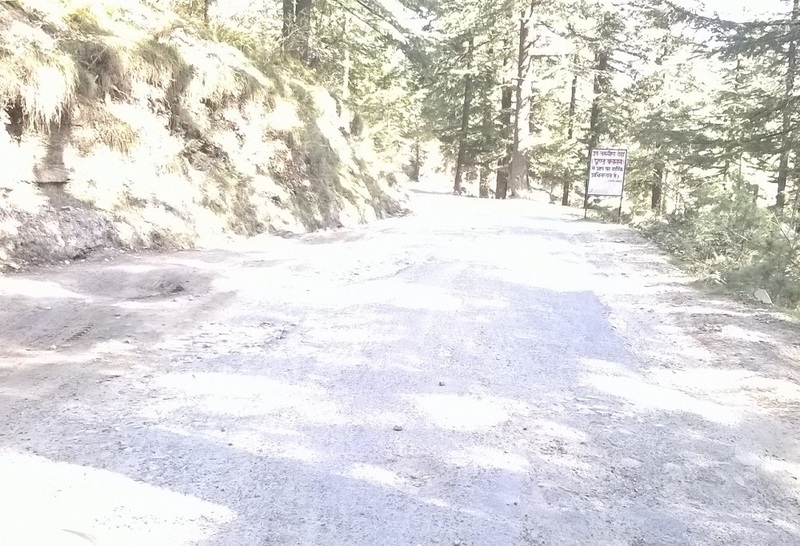 Other than being a vital relief to locals and agriculturists, the condition of road is important considering the fact that it is the shortest route to Haridwar from Shimla region. The distance, which is about 370 km when travelling via Chandigarh can be reduce by 100 km via Chopal. The suffering of locals who are dependent on this road is now becoming intolerable. 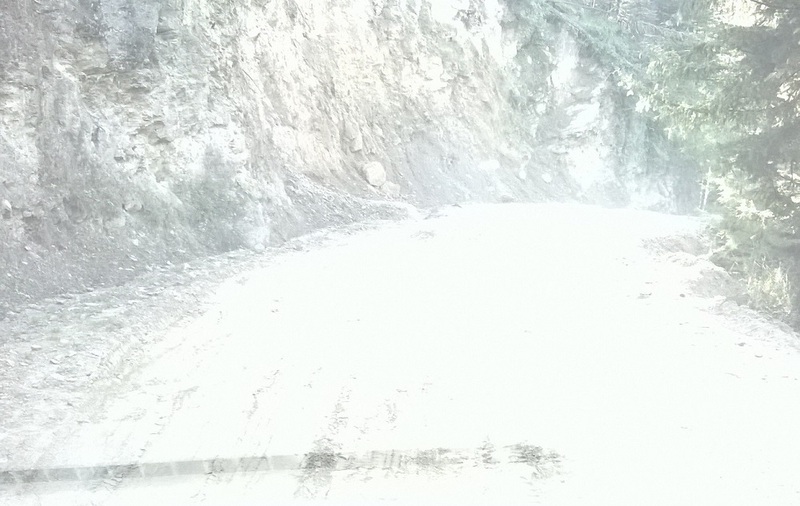 Farmers still resent bad state of majority of roads in Chopal constituency.